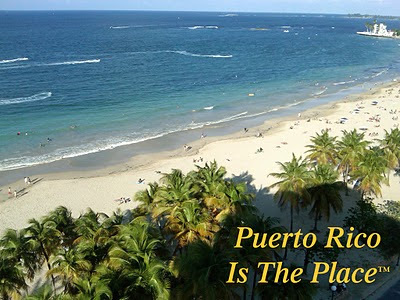 The climate of Puerto Rico is ideal. The island's temperature ranges from 80 F in the winter, to 85 F in the summer. The temperatures can decrease a bit as you travel higher up into the mountains. This weather is perfect for anyone, but it is particularly ideal for The Coqui. The Coqui, is a small frog native to Puerto Rico. The species is named for the loud sound the males make at night. The Coqui is a very important aspect to the Puerto Rican culture and it has become an unofficial territorial symbol of Puerto Rico. Where is Puerto Rico? I am often asked... Here is a map.